We need to name another day on the retail economy calendar. We have Black Friday and Cyber-Monday. Perhaps we need Survey Tuesday? 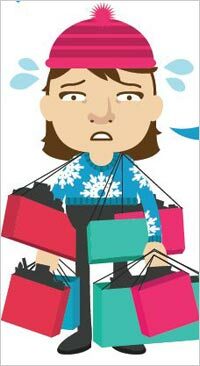 That would be the Tuesday prior to Thanksgiving Week, in which brands of every sort release an endless supply of consumer survey data related to the upcoming holiday season. Of course, the exercise is moot at this point for marketers. Most media plans and holiday strategies are set and launching. Account execs are already wringing their hands, hoping the plan works but lining up the five top reasons it was “doomed to failure from the start” because the client failed to take their advice. We do know from experience that Christmas itself is something akin to “National App Day.” Activity on Apple and Android app markets spikes massively as millions crack open their new devices and need to fill them as quickly as possible with all the games and apps they have been missing for oh so long. And so it is important for marketers to anticipate where the needle is moving. According to a Kelton Research Holiday Shopping survey taken in October and November and released via T-Mobile, 44% of respondents had a tablet on their holiday wish list, compared to 34% with a smartphone. Altogether, 69% are hoping to get something wireless, and 62% say they would like to give a wireless gadget to someone this year. Until now the main horse race at Christmas was between Android and iOS when it came to market dominance of the holiday. With the rise of the cheap and increasingly capable and beautiful smaller-sized tablet platform this year, we should be in for a much more interesting market. It is my opinion that while Apple will still get the benefit of the brand doubt among many who just want an iPad, the very public and common misgivings about the iPad Mini’s design (mainly the display) and price point made it possible for Google Nexus, Kindle Fire HD and perhaps even Nook HD models to get into serious consideration. Microsoft’s Surface is a larger, more expensive deal altogether that really is going head to head with the iPad itself. The Achilles heel among iPad competitors this season, however, is being distracted by specs. Although Apple opened the door to competition with a lukewarm value proposition in the Mini, the alternate ecosystems are still sorely lacking. Tapping and browsing about on the Nexus 7 demonstrates that at the surface, Google Play is much improved over the earlier Android Marketplace, and a small kiosk of apps are targeting the tablet platform. But still, most consumers who are planning to use their tablets for the full range of app, game, and browsing activities will still suffer iOS envy. I am not sure how much Netflix and Hulu -- let alone Amazon Prime or Nook’s content deals -- actually help sell hardware when most of this material is now available on most devices. The downside of the tablet rush this holiday is clutter and consumer confusion. It used to be that parents dreaded the toy assembly ritual that accompanied gift-giving. We forget now that almost everything comes pre-assembled, that many Christmas morns were spent with massive, tissue-thin foldout instructions spread across the floor as Dad struggled to figure out the arcane blow-up diagram of dollhouses or the universally loathed ten-speed bike. How many critical bolts, nuts, or plastic fasteners were lost in the shag carpet or chewed to uselessness by the family dog? Our modern analog is gadget shopping. According to the holiday survey 43% of respondents say they find shopping for tech items like tablets and cell phones more confusing than assembling a child’s multi-part toy. Yeah, but once you get them wrapped and ready, the odds are a lot slimmer that your Cocker Spaniel is going to make a dent in Gorilla Glass.